Hoddesdon Self Storage is the most reliable company providing secure Furniture Storage Units to our clients at very competitive prices. We have been providing the best, clean and safe storage services both for short and long-term for many years, so you can rely on us without any doubt. Hoddesdon Self Storage is easily accessible from Broxbourne, Nazeing, Wormley, Turnford, Cheshunt, Waltham Cross, Cuffley, Stansted Abbots and Ware. Whether you have a couple of boxes or a complete house we can provide a secure storage solutions facility tailored to meet your specific needs. You can keep your goods in our storage units as long as you want without worrying about anything. We ensure the safety of your goods, and there will be no loss or damage because our steel storage rooms have 24 hours CCTV, Intruder and Fire alarms. However, we can’t guarantee the safety of your office furniture against, such as fire and flood. Therefore, we provide insurance to protect them from these types of unexpected loss. In this way, you will get the full replacement value of your goods. We possess the best team of experts that will pack everything that you want to store, load them and deliver it to our furniture storage units. Our staff reaches you within no time along with the durable and sturdy packing materials. Our professionals are expert and qualified who knows how to move sensitive and bulky furniture from a place to another place safely. One of the essential storage space services that we provide to our valued clients is that they can store their furniture in 100% secure furniture storage units. No matter what kind of furniture you have, we have the business storage units that suits your furniture requirements for short-term and long-term. Moreover, we have units available from just 9 to 150 sq ft that can match your exact needs. Store your bed, sofas, chairs, tables, or anything else; we will take care of your valued furniture till you get it back from us. Whether you want to store a few of your personal goods or the entire household items for short or long-term period, we promise to meet your all the requirements and needs regarding your personal self-storage. We have got units in all shapes and sizes, so we can easily accommodate you. 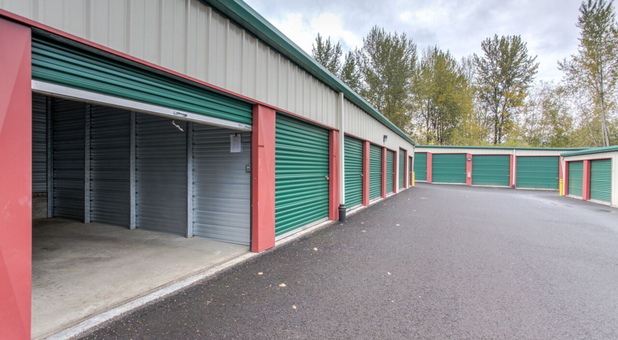 We provide keys to your storage unit so you can come at any time to see your belongings. Your business is very important; therefore we do not accept any excuse on the safety of your goods. Our vision is to make our customers satisfied and comfortable with us. Therefore, we provide the best storage services at very reasonable prices. There is no doubt that we are one of the most reliable companies in the UK providing safe and secure Furniture storage units for storing your expensive goods and furniture. We feel proud that we are providing reliable storage services to our customers for many years and none of our clients has given negative reviews about our services. The safety of your goods is our responsibility; therefore you do not need to worry about anything. One of the best things is that we provide insurance on goods before storing them in our storage units. We offer specific self-storage insurance under our open cover policy. We will provide you with a copy of the policy summary and applicable fee’s for this insurance cover when you provide a value of your goods & the duration of your stay. We provide our Furniture storage units to our clients at competitive prices. We do not have any extra or hidden costs so you can easily afford our services. So do not wait anymore and hire our services immediately. We are the best in town and always provide the best services to our clients and nothing less than that.